Holiday cookbooks at our house barely get looked at around our house until... it gets close to the time to set in provisions the celebrations. Then it's another story. 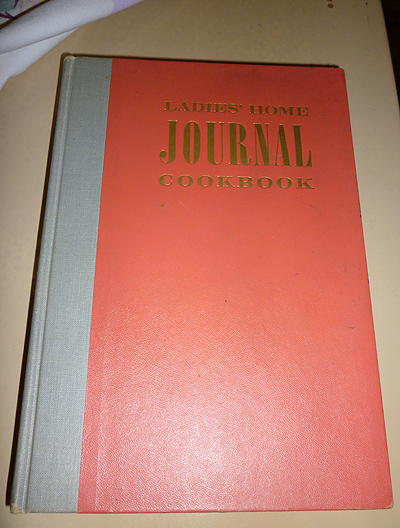 And in which book did we stick Aunt Mary's tattered handwritten recipe for oyster AND sausage stuffing? Out come the books, spread all over the kitchen table. Maybe while looking for it in the standbys, you'll spy a new standout, like we did one year -- the incredible sour cream pastry Mushroom and Stilton Galette on p. 6 of the slim Williams-Sonoma Seasonal Favorites book. Most of these books are in the $6-$10 range. They are books, by the way, not pamphlets. PS: You might also search our Dessert and Baking category. There are also a lot of Easter recipes in cookbooks in our Eastern Europe, Balkans and Russia category. You might also want to browse for regional holiday favorites in our Community Cookbook category offerings. Joy of Christmas - Washington, D.C.